I was surprised to read Ancestry’s blog over Christmas, “we’ve made the decision to stop selling Family Tree Maker as of December 31, 2015.” Family Tree Maker has been one of the most popular genealogy software programs on the market. But for Ancestry, they admit that they make more money from subscribers to their website. This news is not good for many of us that have gotten our heads around Family Tree Maker and now need to look at other software to keep our records. If you are a user of Family Tree Maker, it may be time to start organising your files in anticipation of this shutdown in support. Tree syncing and support on current software will only be available till January 1st 2017. If you are not familiar with Family Tree Maker, it is a genealogy software program and it doesn’t require you to be connected to the internet. The program stores your genealogy information. Ancestry will still let you save your information on their trees and you can export the information to other software programs, like Legacy. However, if you owned Family Tree Maker you could automatically export your information through “tree sync”. So what you are losing is the “tree sync” ability that makes Family Tree Maker appealing to many customers. Instead you will manually have to sync your trees by exporting the GEDcom file. (A GEDcom file is a file that holds genealogy information and data that links individuals together.) It’s a bit more complicated but possible to do. 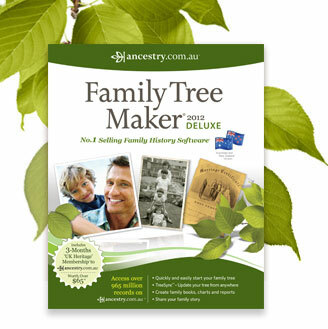 If you are still using Family Tree Maker, then use the Tree Syc this year. If you want to move to another software program then go to Ancestry help section and the steps to export the tree are there. After you export the tree to your hard drive on your computer, you will need to import the file into a genealogy program of your choice. As there will be a need to do more moving of information, I would advise saving information in different ways and having more copies. You don’t want to be stuck in a situation where your information is only in a genealogy program that gets corrupted when importing and exporting. I would save your files to multiple locations like Dropbox, your computers hard drive and even onto a rewritable disc or USB. Also as many changes happen quite quickly it’s best to get all your information saved off Ancestry.com, as you never know if it could sell and not be around forever. I guess that Ancestry has gotten to grow into a large multi national business through decisions like these. Although it is annoying, hopefully what they save in developing and supporting Family Tree Maker they will use to put more information onto their website. At the end of the day, I think finding records and having access to them is for the greater good of genealogy. Ancestry are trying to give people what they want at the end of the day. 2016 may be a year to make a change for many and rethink how to store your genealogy information. Please feel free to share this article by clicking on the facebook or google icons above because – understanding the past can bless the present. Last updated by Nicol Warren at January 5, 2016 . Ancestry.com, Family Treemaker, Genealogy software, Legacy. Bookmark.